Draft: 2013, Chicago Cubs, 3rd rd. Jacob made his major league debut as a September call-up with the Mariners in 2017 after he was claimed off waivers from the Cubs, September 4 ... originally selected by the Cubs in the third round of the 2013 Draft, he returned to the organization when he was claimed off waivers from the Mariners, October 26, 2017 ... Played 11 games for the Mariners in September of 2017, hitting .150 (3-for-20) with one homer and one RBI ... The outfielder has hit .245 (521-for-2,127) with 112 doubles, 25 triples, 37 homers, 197 RBI and 142 stolen bases in 573 minor league contests ... Was added to the Cubs 40-man roster, November 18, 2016 ... outrighted to Triple-A Iowa, November 20, 2017 ... In 2014 between Single-A Kane County and Single-A Daytona, he led the Cubs farm system with 37 stolen bases ... While at Brigham Young University, was named a Louisville Slugger Freshman All-American, the West Coast Conference Freshman of the Year and led all WCC freshman with a .380 batting average in league play ... Graduated from Lone Peak High School in Highland, Utah. Was a non-roster invitee to major league Spring Training with the Cubs, and spent the entire season with Triple-A Iowa ... batted .238 (89-for-374) with 14 doubles, three triples, six homers, 32 RBI and 22 stolen bases in 116 games ... His 116 games led the I-Cubs ... the 22 stolen bases ranked tied for sixth in the Pacific Coast League ... Played 72 games in center field, with a .981 fielding percentage and six outfield assists ... played 33 games in right field and six in left field ... Went 22-for-28 in stolen base attempts ... Batted .310 (27-for-87) with eight RBI and 15 runs scored in 26 May games. Jacob made his major league debut with the Mariners, appearing in 11 September games, after he was claimed off waivers from the Cubs, September 4 ... hit .150 (3-for-20) with a solo homer, and made seven appearances in center field and two in left field ... Recorded his first career hit, a pinch-hit infield single off Francis Martes, September 16 at Houston ... Belted his first career homer, September 30, off the Angels Ricky Nolasco ... Prior to being claimed off waivers, batted .240 (98-for-409) with 57 runs, 32 doubles, two triples, six homers and 32 RBI in 114 games between Double-A Tennessee and Triple-A Iowa ... Began the year with Tennessee, hitting .180 (22-for-122) with 17 runs, nine doubles, one triple, one home run, six RBI, 14 walks and six stolen bases ... In 80 games with Iowa, he batted .265 (76-for-287) with 40 runs, 23 doubles, a triple, five homers, 26 RBI, 24 walks and 23 steals. Jacob spent the year at Double-A Tennessee, but his season was cut short due to an injured ligament in his right thumb ... he batted .247 (72-for-291) with 14 doubles, four triples and 10 homers in 74 games ... his 26 steals led the club while his 10 homers ranked second ... Placed on the disabled list, July 2, with the right thumb injury, ending his season ... reinstated, September 7 ... Hit .447 (13-for-39) with nine RBI with runners in scoring position and two outs ... Had a 14-game hitting streak, May 22-June 6, in which he batted .333 (20-for-60) with a double, two homers and eight RBI ... Recorded five multi-hit efforts in a six-game span, June 23-29, going 10-for-23 (.435) in that span. After a hot start at Single-A Myrtle Beach, Jacob reached Double-A for the first time in his career ... he led Tennessee with nine triples and 17 steals ... Combined to bat .244 (121-for-495) with 24 doubles, nine triples, six homers, 45 RBI and 24 steals between the two clubs ... Hit .328 (20-for-61) with four doubles and four RBI in 16 games for Myrtle Beach before he was promoted to the Smokies, April 28. 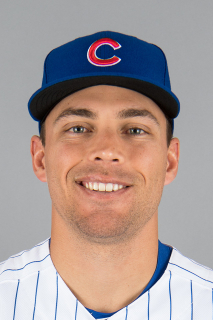 February 6, 2019 Chicago Cubs invited non-roster CF Jacob Hannemann to spring training. November 20, 2017 Chicago Cubs sent CF Jacob Hannemann outright to Iowa Cubs. October 26, 2017 Chicago Cubs claimed Jacob Hannemann off waivers from Seattle Mariners. September 4, 2017 Seattle Mariners claimed CF Jacob Hannemann off waivers from Chicago Cubs. June 5, 2017 CF Jacob Hannemann assigned to Iowa Cubs from Tennessee Smokies. April 6, 2017 CF Jacob Hannemann assigned to Tennessee Smokies from Iowa Cubs. March 17, 2017 Chicago Cubs optioned CF Jacob Hannemann to Iowa Cubs. November 18, 2016 Chicago Cubs selected the contract of Jacob Hannemann from Tennessee Smokies. October 27, 2016 CF Jacob Hannemann assigned to Cangrejeros de Santurce. September 30, 2016 Tennessee Smokies activated CF Jacob Hannemann from the 7-day disabled list. July 7, 2016 Tennessee Smokies placed CF Jacob Hannemann on the 7-day disabled list. June 23, 2016 Tennessee Smokies activated CF Jacob Hannemann from the temporarily inactive list. June 18, 2016 Tennessee Smokies placed CF Jacob Hannemann on the temporarily inactive list. March 3, 2016 OF Jacob Hannemann assigned to Chicago Cubs. April 28, 2015 CF Jacob Hannemann assigned to Tennessee Smokies from Myrtle Beach Pelicans. March 5, 2015 RF Jacob Hannemann assigned to Chicago Cubs. July 23, 2014 Jacob Hannemann assigned to Daytona Cubs from Kane County Cougars. March 31, 2014 CF Jacob Hannemann assigned to Kane County Cougars from AZL Cubs. March 18, 2014 1B Jacob Hannemann assigned to Chicago Cubs. August 14, 2013 RF Jake Hannemann assigned to AZL Cubs from Boise Hawks. July 23, 2013 Jacob Hannemann assigned to Boise Hawks from AZL Cubs. July 20, 2013 Jacob Hannemann assigned to AZL Cubs from Boise Hawks. July 6, 2013 Jacob Hannemann roster status changed by Boise Hawks. June 21, 2013 OF Jacob Hannemann assigned to Boise Hawks. June 20, 2013 Chicago Cubs signed OF Jacob Hannemann.